Sentinel Hub is perfect source for satellite data. 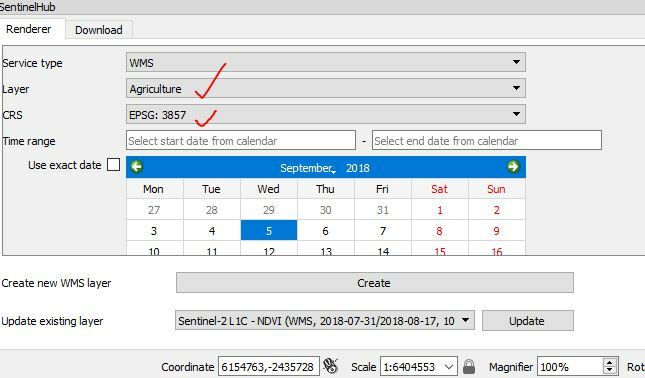 Here in this post we are providing pictorial tutorial on how to use sentinel hub in QGIS 3.2.1. You can also download Sentinel without using plugin check download free satellite images from satellite. 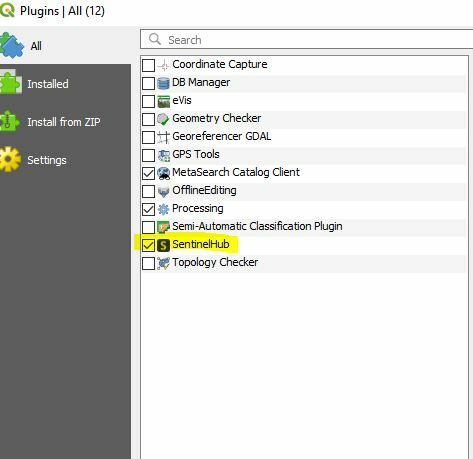 Sentinel hub plugin helps you to confiqure directly the sentinel hub images in qgis. It makes your study more easy. Go to Plugins in QGIS window and tap on manage and install plugins. 3. After installing Sentinel Hub, Sentinel hub plugin icon will be visible on toolbar. 4. Click on Sentinel Hub Plugin icon. Following will window open. Now fill your instance ID . 5. 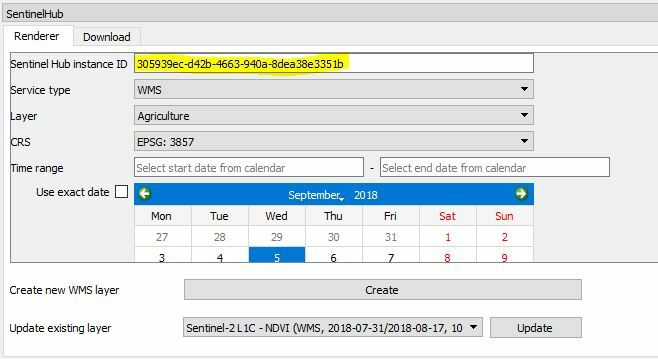 You can find your instance id at Sentinel Hub Configuration Utility. If you don’t have account on Sentinel Hub, you can apply for trial account of sentinel hub . And take benefit of its service for some days. 6. You can add new configuration according to your requirement. Also able to create configuration from existing one like simple WMS instance. You can use template instances like sentinel-1 template, digital elevation model, full landsat- 8 instance etc. 7. 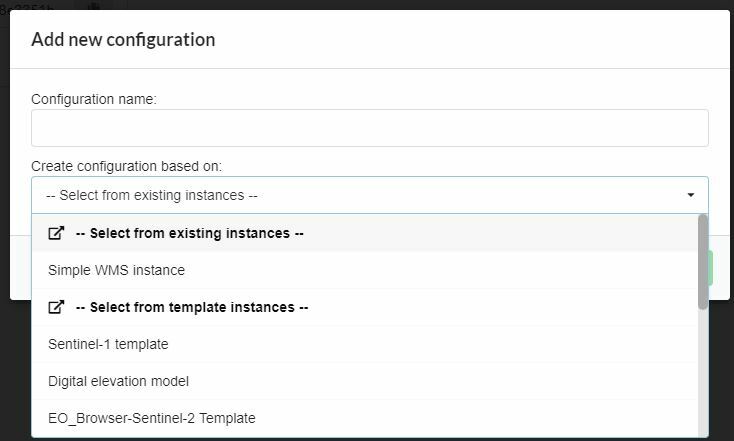 After instance id you can fill other parameters for rendering. Select the layer for required instance. Also select the CRS (Coordinate Reference System). Select the the time range or exact date. 8. It will take time but image will be turn up on QGIS canvas. 9. After rendering you can also download the image in different formats i.e. PNG, JPEG, 8-bit TIFF etc. You can set resolution and also can save current visible window or custom window. 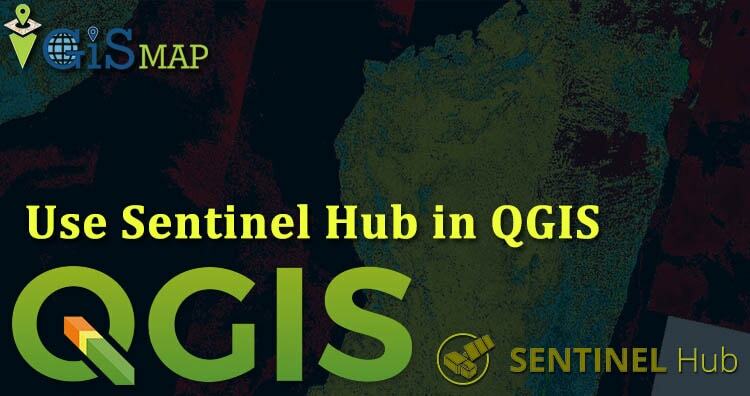 This all about how to use sentinel hub in QGIS 3.2.1. If you face any problem in this do comment. Any suggestions and feedback are welcomed.